One of the largest vehicle manufacturer in the country, Mahindra has revealed that they will increase prices of all their cars from 1st August 2018. Speaking about Mahindra’s sales performance last month – Passenger Vehicles segment (UVs, Cars and Vans) sales are reported at 18,137 vehicles, up 12 percent from 16,212 vehicles sold in June 2017. Cumulative sales of for the fiscal (April-June 2018) are up 9 percent with 60,779 units sold, up from 55,995 units sold through April-June 2017. Mahindra & Mahindra Ltd. (M&M Ltd.) reports 45,155 vehicles sold in June 2018 at 26 percent sales growth, up from 35,759 vehicles sold in June 2017. 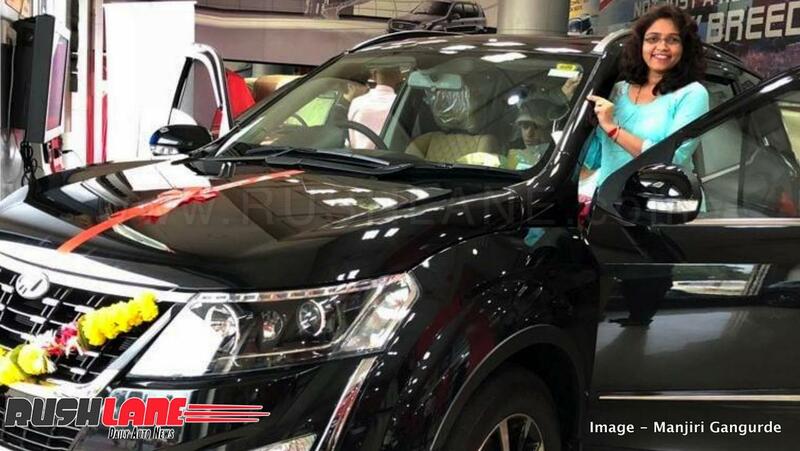 Image – Manjiri Gangurde, Proud owner of all new Mahindra XUV500. Sales of UVs was reported at 16,408 units for June 2018, up 7 percent from 15,388 units sold in June 2017. UV sales for April-June 2018 (Q1 FY19) are reported at 56,074, up 6 percent from 53,082 units sold through April-June 2017. The remainder of passenger vehicle sales is contributed under the Mahindra Electric moniker. Cars and Vans sold are reported at 1729 units, up 110 percent from 824 units in June 2017. YTD sales are reported at 4,705 units, up 62 percent from 2,913 units sold in Q1 FY18. Movement in the electric vehicles segment comes in part from EESL, whereby the govt is placing orders for electric vehicles to boost the EV segment. Commercial vehicle segment sales are reported at 19,229 vehicles in June 2018 at 27 percent sales growth. Domestic sales stood at 41,689 vehicles during June 2018, up 23 percent. In the Medium and Heavy Commercial Vehicles segment, M&M sold 1,108 vehicles to report 58 growth. Exports for June 2018 stood at 3,466 vehicles, up at 87 percent. Mahindra is now getting ready to launch 3 new cars this year in India. One of them is an MPV to rival Toyota Innova Crysta, one is XUV700 and one is a compact SUV to rival Tata Nexon and Maruti Brezza. All these new launches are expected to bring a boost in sales for the car maker.